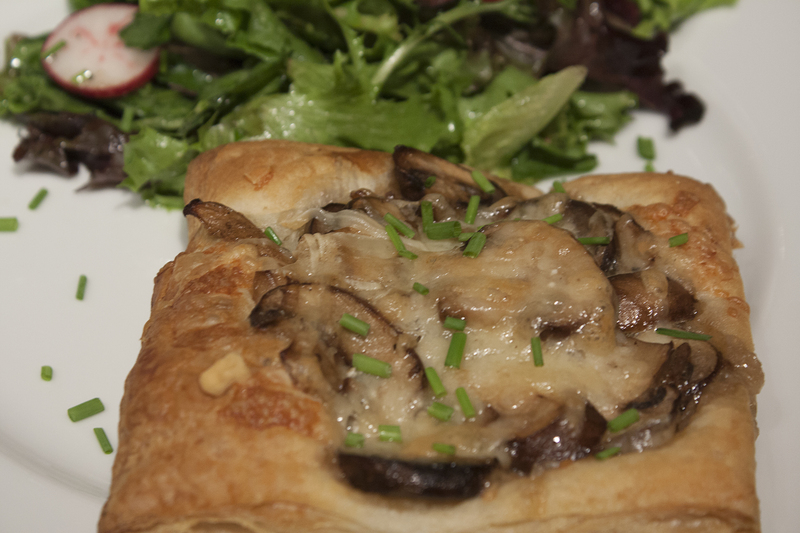 Tonight we made Flaky Mushroom and Gruyère Tarts. This is one of Kim’s favorite vegetarian weeknight recipes to make. Here’s how it went. To save a little time and add variety, I used a packaged gourmet blend of mushrooms plus a handful of baby portabella mushrooms that just needed to be quickly cleaned and sliced. 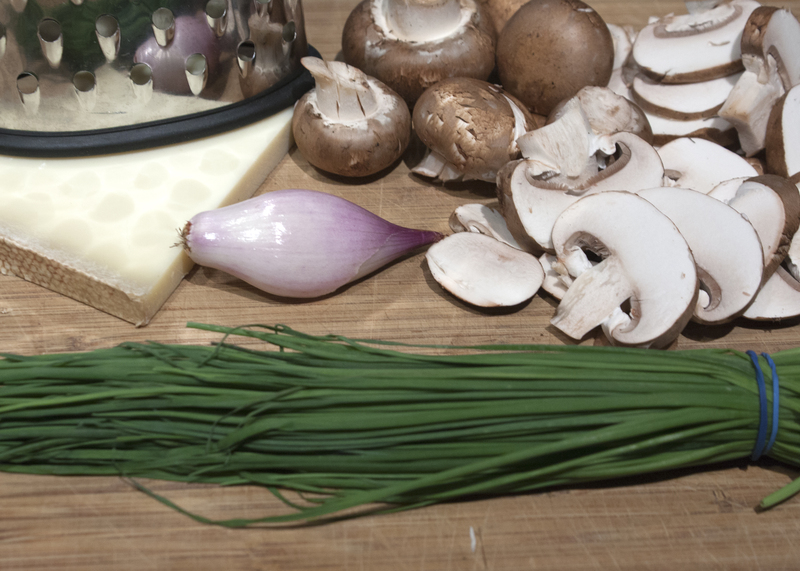 As the mushrooms cook, there’s enough time to grate the gruyère. While I didn’t do it this time, a nice addition as the mushrooms are sautéing is thyme. Assembling the tarts is very easy–just be sure to prick the puff pastry as the recipe indicates. Even though we normally halve recipes, for this one we do make the whole one for the tarts. They are so delicious, it’s hard to resist eating two! 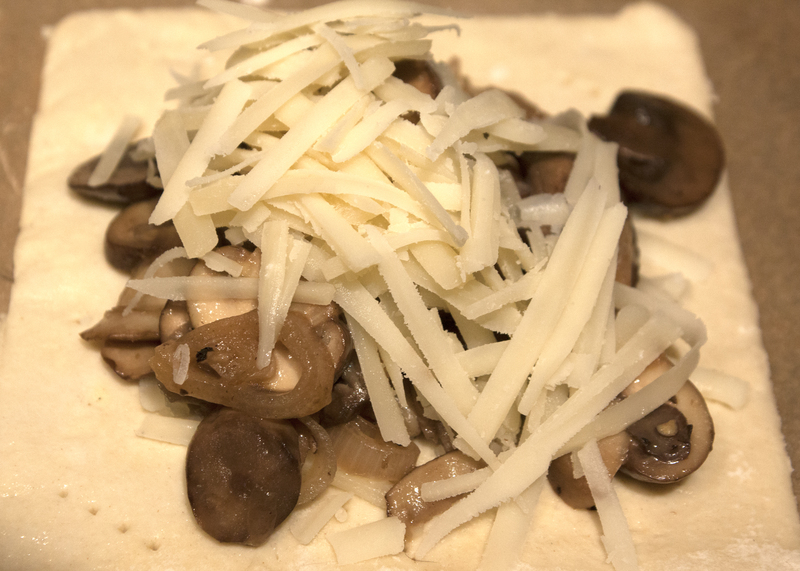 Besides being delicious, another thing I like about the recipe is that I have a chance to clean up from making the mushrooms as well as assemble the salad and salad dressing while the tarts are in the oven. I used about half the suggested amount of salad greens but made the full recipe for the dressing so I would have it leftover for tomorrow night’s dinner.